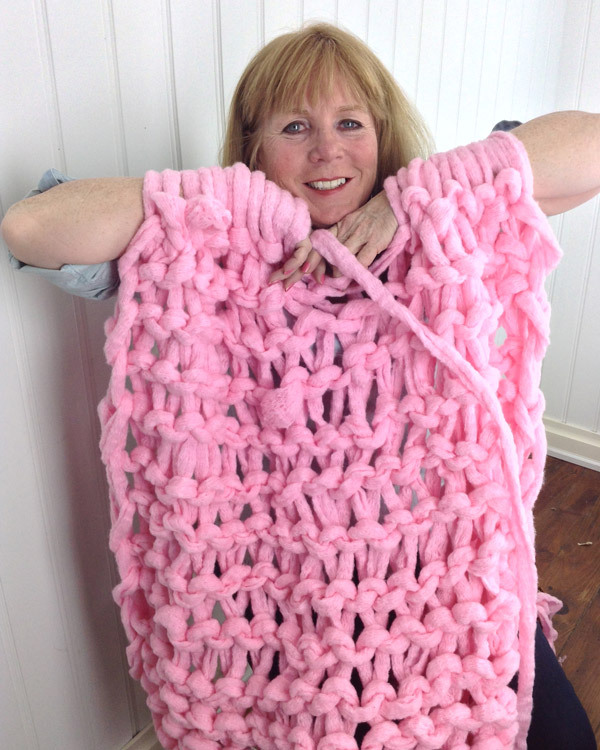 Couture Jazz® is a super bulky weight netting yarn that is perfect for making accessories to keep you warm. 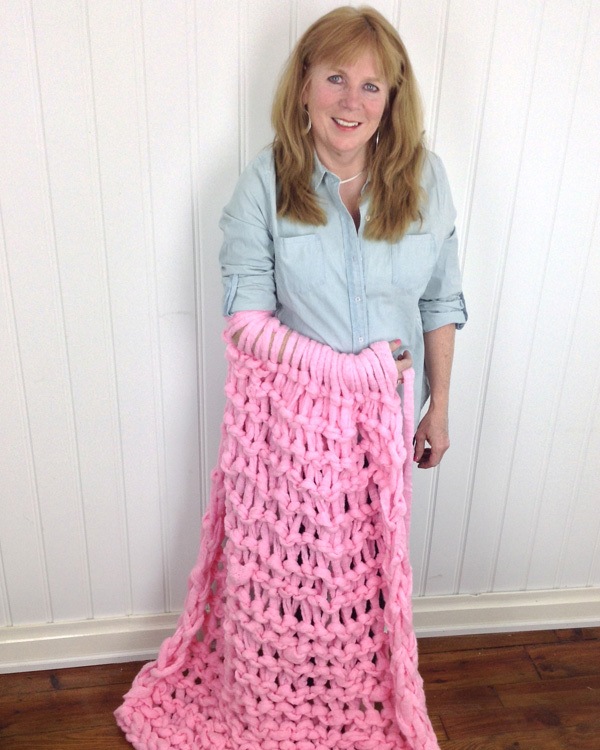 So, why not go for the ultimate in warmth and cuddly softness and arm-knit an afghan for snuggling in during this cold winter season? 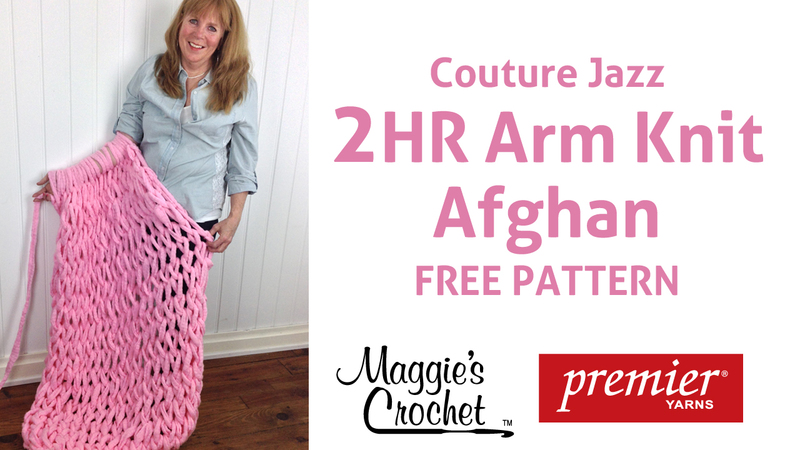 Couture Jazz is perfect for arm-knitting because you only need to work with one strand. You will need about 10 skeins of Couture Jazz to make this afghan, and you can probably finish it in about 2 hours. 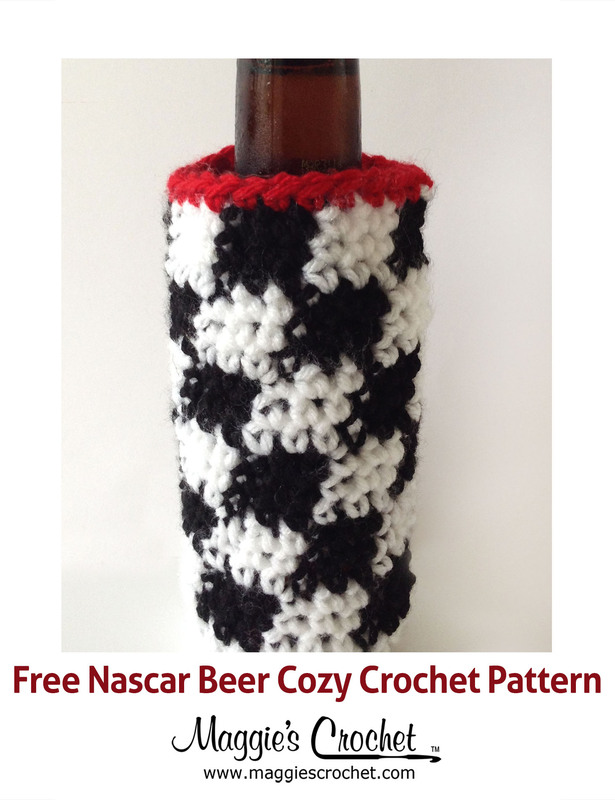 Amazing when you think about how long it takes to crochet or knit an afghan! Let’s watch the videos. 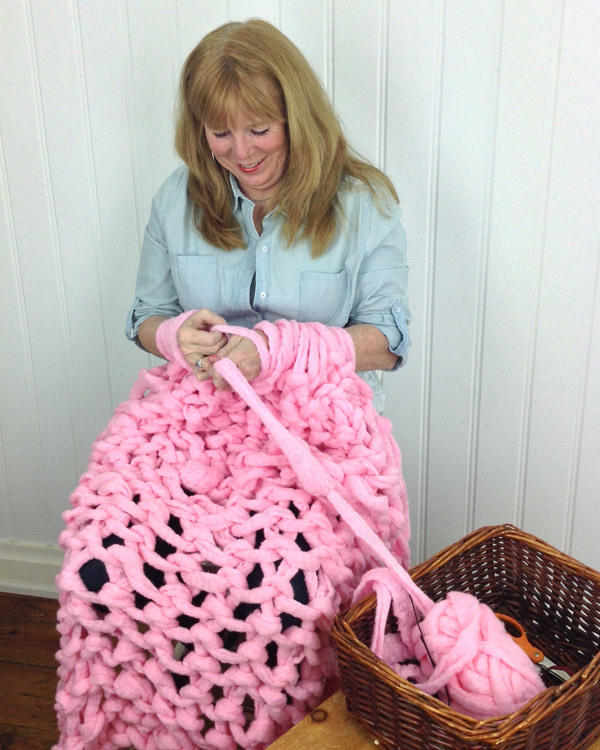 Here are some GREAT photos of Maggie as she works through the process of arm-knitting this afghan. Enjoy! This is the “knit” side of the afghan. You will always have the knit side in front when arm-knitting. This is the back, or the “purl” side. Notice the little bumps? 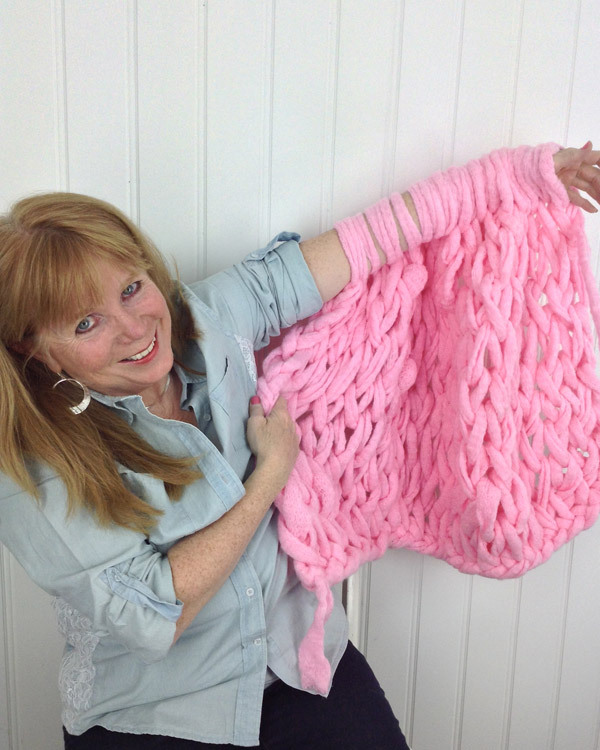 Arm-knitting makes Maggie very happy! 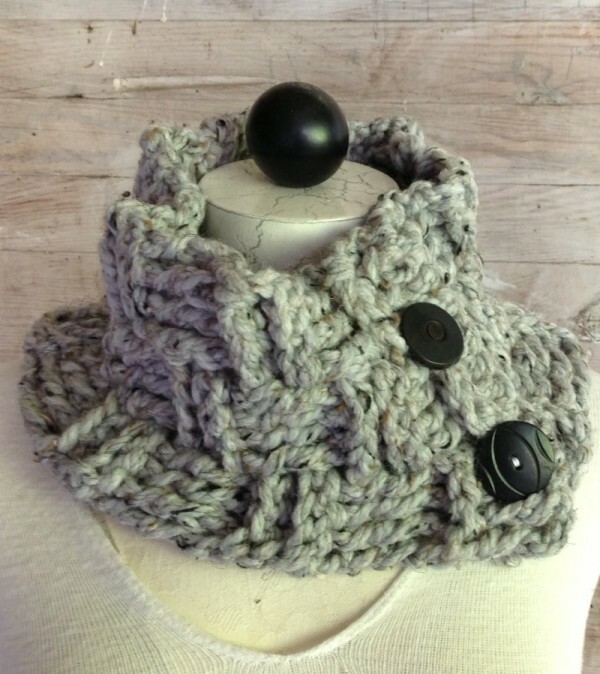 If you recognize Couture Jazz, it’s probably because we used it to arm knit a scarf in a previous blog post that goes into some detail about exactly how to arm knit. It’s a great review, or a great place to start on your arm-knitting adventure if you haven’t already done so.